So I haven’t had a kitchen for about a month. It’s starting to drive me crazy. Fortunately, everything should be done within the next week. In my desperate attempt to not eat out for every meal I have looked online for some great crock pot recipes. 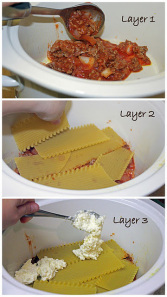 I was shocked that there was a lasagna that could be made and it turned out great! 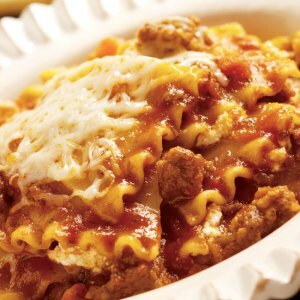 The meat has to be cooked, (we have a camp stove so that helped me) but the lasagna noodles should remain uncooked. As long as there is sauce covering them, they will soften and come out perfect. Since every crock pot cooks different, I recommend you try to keep an eye on it the first time you make it so you know how long you should cook it for future times. Trust me, you will want to make this again and again!